Selling jewelry in Tampa is a breeze with Associated Watch & Jewelry Buyers. We all have jewelry we no longer wear. The diamond ring from an ex; the gold watch that is no longer in style; the ruby bracelet that you wore daily in earlier years… all just sitting there in your jewelry box. If you are looking for a jeweler in Tampa interested in purchasing your jewelry, you have found the right place. Our customer base allows us exposure locally and worldwide and therefore maximum dollars for you. Antique and Estate jewelry is always in high demand. We are always looking for signed jewelry pieces, and designer jewelry pieces such as Cartier, Bvlgari, Harry Winston, Chopard, Van Cleefs and Arpel, Lagos, Tiffany, David Webb, Tacori, Scott Kay and many others. 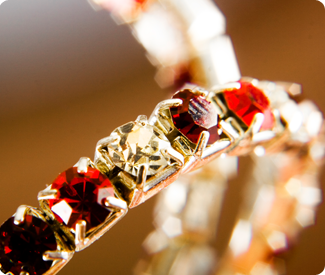 Associated Watch & Jewelry Buyers is one of the nation’s largest buyers of antique jewelry. We buy antique jewelry, antique diamond bracelets, antique diamond rings, antique diamond necklaces and many more antique pieces that are highly sought after. We handle purchases of many estate pieces as well. Please contact us today for further information on selling your jewelry, gold, silver, and estate pieces.